Snowshoe off-trail into a winter wonderland on our small group tours. Your award-winning professional naturalist guides will bring the area alive for you through their vibrant interpretation, and knowledge of the area’s natural and cultural history. Experience the magic of the snow-laden trees, inspect animal tracks, and bask in the quiet of the winter forest. 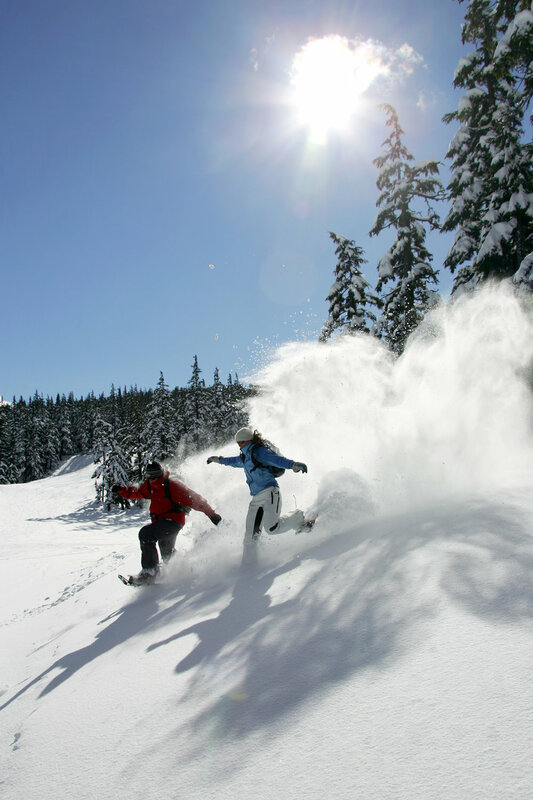 This tour offers great snow play for a wide range of ages and ability levels. 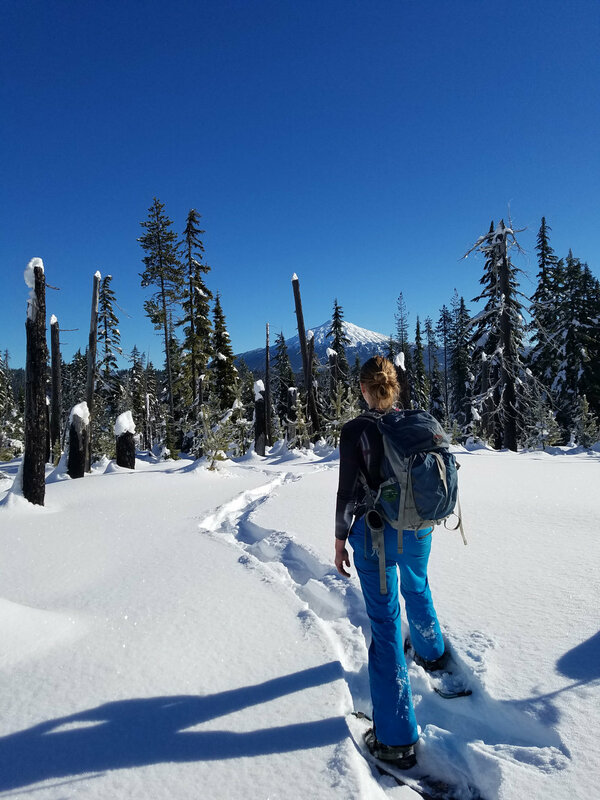 Snowshoe tours are customized for all adventure desires— stroll easily on flatter areas, or leap off powder-covered lava flows and get “air” like you never imagined— even teens will love it! This is a great thing to do with kids in Bend, Oregon. Snowshoeing tours take place in wilderness areas around Mt. Bachelor and the surrounding Deschutes National Forest of the Cascade Mountain Range of Oregon. New to off-trail snowshoeing? Let Wanderlust Tours do the driving and teach you fun snowshoeing techniques and tricks. All tours include instruction. Wear winter boots and powder/ski pants to keep your feet and legs dry while snowshoeing. * Waterproof boots, pants, and jackets are available for rent through Wanderlust Tours. Please reserve sizes when you make your reservation. Limited sizes available. The best winter things to do in Bend, Oregon!